There are many recreational activities available in beautiful and charming Punta Gorda. Punta Gorda is a small, friendly city, bordering beautiful Charlotte Harbor on Florida’s West Coast. Punta Gorda Isles is the premier community for Punta Gorda real estate, featuring miles and miles of excellent, deep canals that lead to Charlotte Harbor. famous for its outstanding sport fishing and boating. Charlotte Harbor is also a popular destination for sailors with its many islands for anchoring and great weekend racing. Add to that all of the unique shops, art galleries, marinas and top notch golf courses, and you will see why Punta Gorda, Florida real estate is so popular, and why this area has many times been voted one of the best places to live! If you have questions or need further information, don’t hesitate to call us at 941-235-7474 or email Your Suncoasteam at sales@suncoasteam.com. 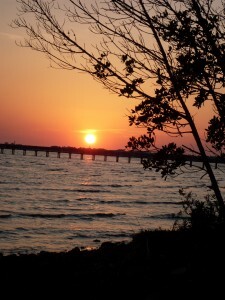 Punta Gorda Isles is a beautiful community in the city of Punta Gorda. Most of the single-family homes in Punta Gorda Isles are built on waterfront canals with access to Charlotte Harbor and the Gulf of Mexico. The majority of the waterfront parcels are sailboat or large boat canals with no bridge to the Gulf of Mexico. 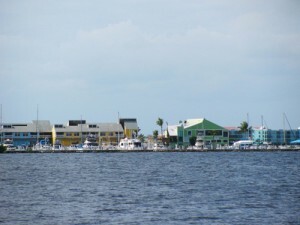 Some of the waterfront homes in Punta Gorda Isles are powerboat homes, meaning that a boater must negotiate at least one bridge before arriving at open water. The remainder of homes in Punta Gorda Isles are built around the beautiful St. Andrews South Golf Course. A major benefit of choosing a Punta Gorda Isles waterfront home is the canal system. The wide, deep canals of Punta Gorda Isles are maintained by the City of Punta Gorda, including the seawall system. This creates seawall uniformity, great savings on maintenance and enhances property value. The reviews are in, and no matter where you look, you’ll see that Punta Gorda, Florida real estate is as good as it gets, and that the city of Punta Gorda is one of the best places to live in the entire country. Great fishing, boating, biking and much more, it’s a truly special location. Fishermen’s Village is a popular dining and retail center in Punta Gorda. There are many great ways to spend your days and leisure time, and many interesting things to do in Punta Gorda, Florida. Your Suncoasteam realtors are knowledgable and enthusiastic about Punta Gorda, and here we’ll help you learn more about this charming city. Located on the southwest coast of Florida, and bordering Charlotte Harbor, there are unlimited activities and recreation available in Punta Gorda. From highly sought after golf courses in close proximity, including the prestigious St. Andrews South Golf Course, to wonderful deep canals and water access, sport fishing and boating, and great shops, art galleries, restaurants and other unique, local flair. There are several local tennis clubs and area sailing clubs and yacht clubs. Kayaking on the Peace and Myakka Rivers and Lemon Bay is great exercise. Bird watching is an especially popular activity, especially in winter when migrating flocks arrive. People of all ages participate in the local softball and baseball leagues. Sports fishing enthusiasts can enter the many tournaments in the area. Charlotte Harbor is also a popular destination for sailors with its many islands for anchoring and great weekend racing. The protected waters of Charlotte Harbor are great for sailboat cruising and quick access to the Gulf of Mexico makes Punta Gorda the perfect home port. Your Suncoasteam Punta Gorda Realtors highly recommend the community of Punta Gorda Isles, with gorgeous waterfront properties and easy access to Charlotte Harbor, Pine Island Sound, Boca Grande Pass, and the Gulf of Mexico. Click here to use our interactive map loaded with hundreds of properties for sale in Punta Gorda. View Punta Gorda waterfront, golf courses, or maybe the downtown area real estate See exactly where the best properties are located, with quick details photographs, maps and more. Here at Suncoasteam Realty we take pride in our knowledge of the growing housing market in Southwest Florida. No matter the restrictions, concerns, or specifications, we’re confident we can help you find the home you’ve been dreaming about. For information about homes for sale in Punta Gorda, waterfront homes for sale, condos and general real estate questions, please call Debra Mann at 941-626-0744 or email debra@suncoasteam.com.